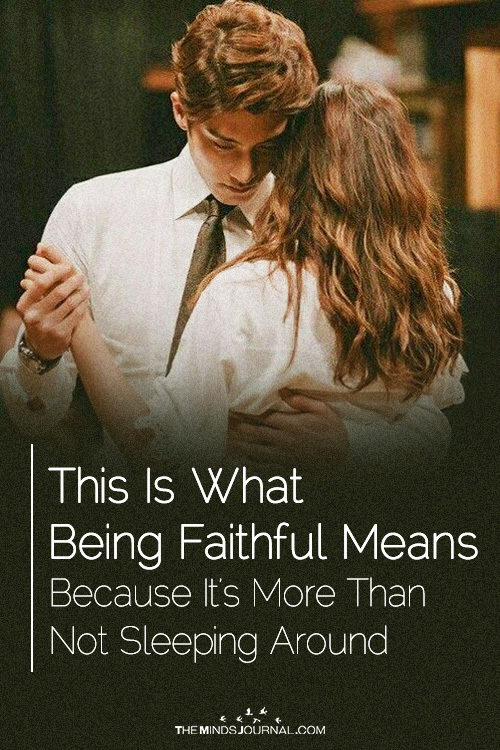 Being faithful means more than keeping your hands to yourself. It means more than only sleeping with one person, only kissing one person, only being physically involved with one person. Being faithful means that you delete your Tinder and any other dating apps on your phone, because you don’t need them anymore. Because you don’t need more booty calls or backup plans. Because you’re happy with the person that you’re dating and would never dream of cheating on them. 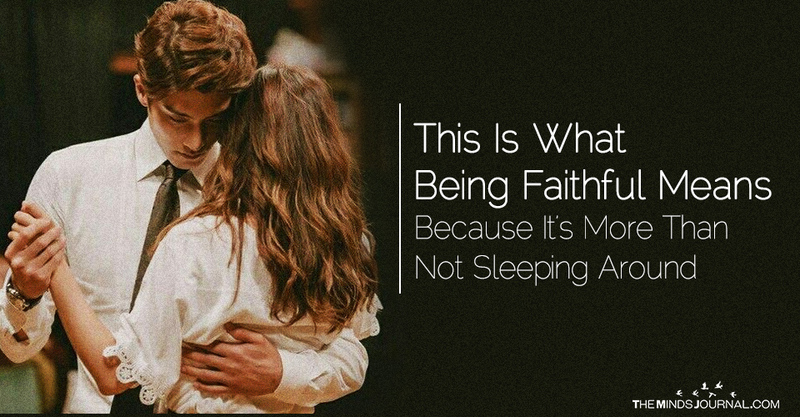 Being faithful means putting an end to any flirting that becomes too intense. It means telling the girl hitting on you at the bar that you’re in a relationship. It means making it clear that you aren’t interested in her instead of leading her on and enjoying the fact that someone other than your partner is attracted to you. Being faithful means keeping your wedding ring on or keeping your relationship status public. So everyone knows you’re taken, instead of purposely trying to make other people think that you’re single so that they treat you differently. So that you still get checked out and receive miniature confidence boosts. Being faithful means being honest with your person about the fact that you ran into your ex during your lunch break or that some girl at the bar asked you for your number. It means being open, even when the truth makes you uncomfortable, because you believe that your person deserves to know what really happened. Being faithful means knowing what your person is not okay with. What they would consider being disloyal, and never crossing that line. It means that you’ve decided you’ve found the person you’re meant to spend the rest of your life with and you aren’t going to do anything to mess it up.